The Rogue Folk Club brings you Sweden's VASEN at St. James Hall! This renowned band's origins are in the centuries-old tradition of the folk music of their country. Rock, jazz, trad, and classical influences weave together into music that's beautiful but never cloying. Sadly, due to some rather draconian measures recently implemented south of the border, one of the band members has been denied a visa. Viola player Mikael Marin will not be able to join this tour. 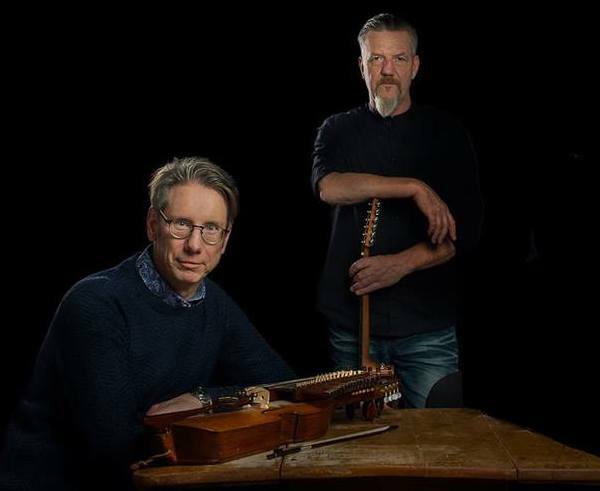 Roger Tallroth (bouzouki, guitar) and Olov Johansson (nyckelharpa: Swedish keyed-fiddle) have performed many times as a duo all over the world, and I guarantee that they will put on an amazing show. They have already garnered some extremely enthusiastic reviews on the duo tour which kicked off this week. For further evidence, check out this video recorded live at the wonderful Freight and Salvage in Berkeley, California (April 7th). Roger produced the latest solo CD by Dervish singer Cathy Jordan, and is one of the most versatile and inventive accompanists to be found anywhere in Europe these days. Also, it is a rare treat to hear - and see - the nyckelharpa in the hands of a master musician like Olov. Vasen release their 19th album, Rule Of 3 (how's that for irony?) this month, as they celebrate 30 years of touring and recording. Come on down to St. James Hall on Saturday to hear their incredible musicianship and help us - and the guys - celebrate their new CD. 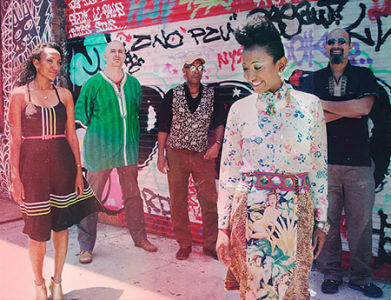 Alsarah, a Sudanese-born singer residing in Brooklyn, creates a unique East-African retro-pop sound by mixing African influences, blues, folk, and pop dance grooves. Through their music Alsarah and the Nubatones search for a balance between urban culture, modernity, and traditional memories. The band was born out of many dinner conversations between Alsarah and Rami el Aasser about Nubian ‘Songs of Return’, modern migration patterns and the cultural exchanges between Sudan and Egypt. A common love for the richness of pentatonic sounds, and shared migration experiences, expanded the conversation to include Armenian/American oudh player Haig Manoukian and French born Togo raised bass player Mawuena Kodjovi. This concert is presented by CapU Global Roots, and Advance tickets are only available until 2pm on Friday April 12th. Please note that regular Rogue discounts including Parcels O'Rogues are not available for this event. We'd recommend seeing Kobo Town at the WISE Hall (1882 Adanac Street) next Tuesday April 16th if it didn't clash with Roguelele Night at The Rogue! Seriously, though, this award-winning Canadian band plays politically-charged calypso and world music with great verve and panache. This show is presented by our good friends at the Vancouver Folk Music Festival. On Wednesday April 17th Portuguese fado diva Mariza makes a welcome return to The Chan Centre at UBC in support of her brilliant new, eponymous CD. There may not be many tickets left, so act fast! If that's sold out, why not see the Canadian classic film The Grey Fox at Cinematheque (1131 Howe Street?) Tickets are FREE in honour of National Canadian Film Day. They are available on a first-come basis from 6:30pm, with showtime at 7pm. It's the incredible story of BC outlaw Bill Miner, with the soundtrack by legendary Irish band The Chieftains. On this week's edition of The Saturday Edge On Folk (8am to noon on CiTR fm 101.9 and www.citr.ca I'll have features on Vasen, Alsarah & The Nubatones, Kobo Town, and Mariza, as well as new music from the likes of Harpdog Brown, Diyet & The Love Soldiers, Irish Mythen, Wayne Dopsie & The Zydeco Hellraisers, Molly Tuttle, April Verch, Flook, Tim O'Brien, Meg Tennant, Zachary Richard, Seth Lakeman, and more. Plus a few of my favourite songs of the past 3 decades or so, and a look ahead to The Rogue's 13th annual celebration of the musical legacy of Django Reinhardt & Stephane Grappelli - April In Paris (April 26-28, with The Bills, Van Django, and More!) I hope you can join me for some of the hottest - and coolest - sounds around. After a couple of technical glitches - and a new modem at Rogue Towers - Radio Rogue is back! With a new playlist, too! You can tune in any time and revel in some fabulous music. Just point your browser here, and enjoy!